Data encryption is imperative in communication. 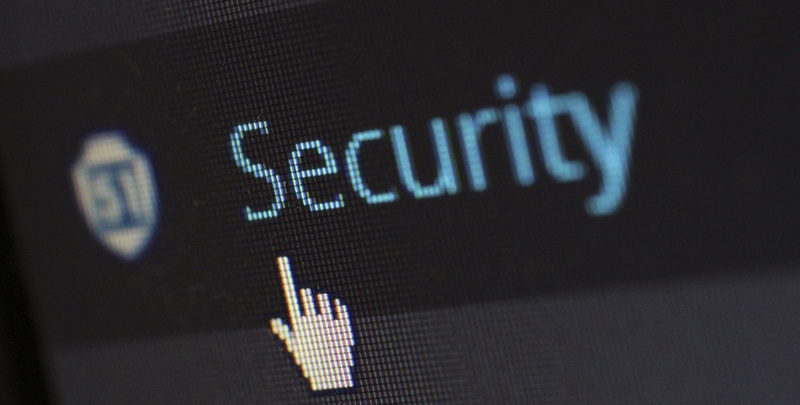 Traditional protection such as firewall, intrusion detection, anti-virus software no longer satisfies the demand for the increasing need for information security protection. UCC can assist your organization in dimensioning your security communication ecosystem. The security encryption system becomes an integral part of the unified communication network. Satellite, wireless and VPN. 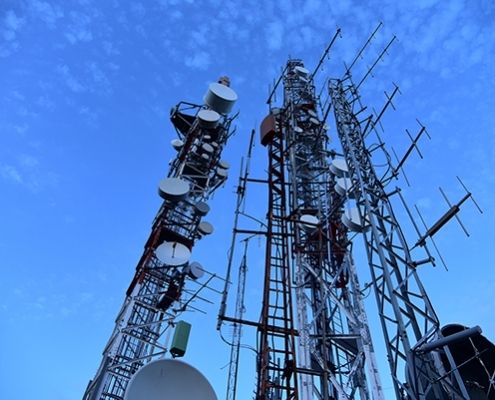 UCC technical enterprise and business process solutions with seamless integration to satellite, terrestrial wireless and VPN network, provides a sustainable secure and trusted Ecosystem. 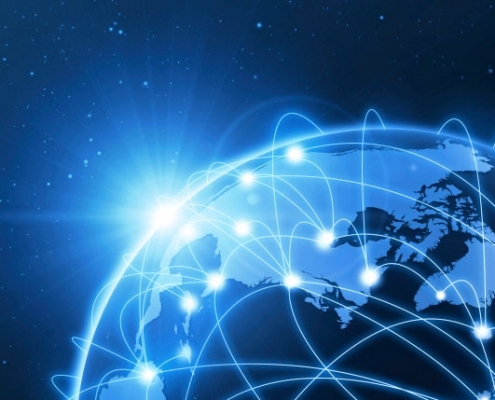 Integration of VPN, Mesh Radio Network and Satellite Communication is accomplished through the Generalized Multi-Protocol Label Switching (GMPLS) providing a seamless robust Unified Critical Communication Platform. UCC is a satellite capacity provider and can assist you in selecting the satellite operator for your specific capacity needs. Mesh Radio Network is a dynamically self-healing wireless network including self-configuration, enabling dynamic distribution of workloads particularly in the event that few nodes should fail. 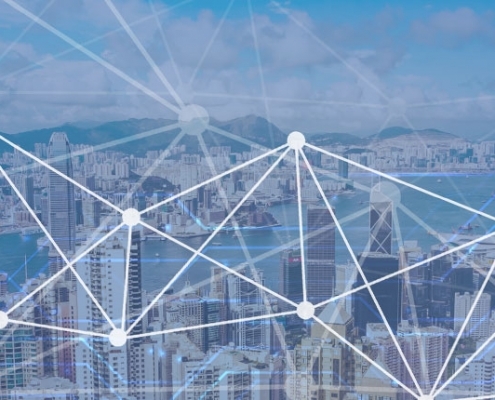 Indoor or outdoor network are connected independently, direct and non-hierarchical to as many nodes possible to efficiently route data. Path bridging allows ethernet switches to be connected to a P2P mesh- and satellite system. The mesh radio network is also available in a portable ruggedized version in compliance to MIL-Spec 810D. 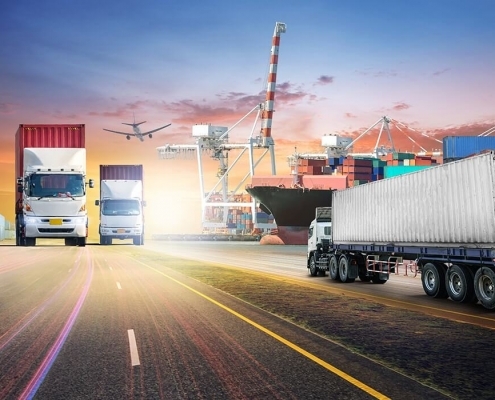 Today’s supply chain and intermodal transportation are inherently complex- many lacking transparency due to lack of interoperability and inconsistent or unavailable data – areas where blockchain can counter these inefficiencies and add new value. Blockchain has the potential to become the universal supply chain operating system – increasing security, improving transparency and creating scalability. UCC, with an undisclosed customer, is presently implementing a pilot project, incorporating this new business model. Applying low-data rate point-to-point-satellite communication integrating in-vehicle or in-store radio communication for tracking , tracing and product identification through RFID or QR code scanning. With point to point satellite communication and distributed data, it would eliminate inefficiencies and align all areas from manufacturer to customer door to door delivery. Increasing automation of commercial processes in logistics eliminating an entire layer of logistic complexities. UCC is an early wireless digital communication technology adopter, providing field engineering and network roll-out services for Mobitex, MPT1327, NMT/GSM radio network systems, UCC is applying experience, lessons learned and proficiency capabilities, offering the following 5G network field engineering and roll out services.